John Constantine is a fascinating character with many layers. He is someone who is haunted by the sins committed in the past and then suddenly sent to defend humanity from the forces of darkness. There was also a movie made by Francis Lawrence on the character of John Constantine starring Keanu Reeves in the year 2005. “John Constantine is a weather worn exorcist and expert on the supernatural and the occult. He is a detective, magician, and a hunter of demons, and will provide critical support to Oliver when arrows aren’t enough”. Marc Guggenheim, executive producer of the show said in a statement “We are thrilled to have Matt Ryan reprise the role of John Constantine on an upcoming episode of Arrow. Matt is an incredibly talented actor and his portrayal of this beloved character was always something we admired”. He further added “The introduction of magic and mysticism on the show this season has provided a truly organic opportunity for us to bring John Constantine to Arrow and the CW’s DC universe. 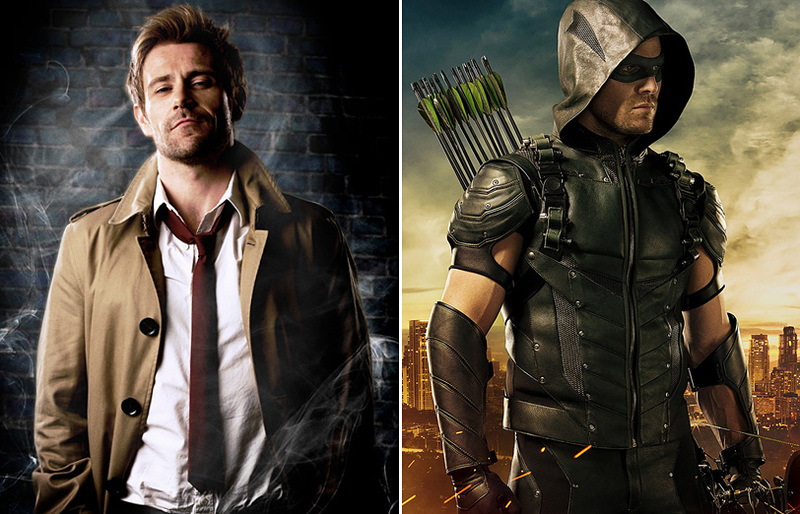 It will be a well-deserved tip of the hat to all the Constantine fans who were so incredibly supportive of that series.” He has also revealed that Constantine’s appearance in fifth episode is tied to the fallout from Sara Lance’s resurrection and her possible transformation into the White Canary, ahead of the spin off show Legends of Tomorrow.